All Lawnside homes currently listed for sale in Lawnside as of 04/22/2019 are shown below. You can change the search criteria at any time by pressing the 'Change Search' button below. If you have any questions or you would like more information about any Lawnside homes for sale or other Lawnside real estate, please contact us and one of our knowledgeable Lawnside REALTORS® would be pleased to assist you. "Wonderful, Quiet Cul-de-sac location ! 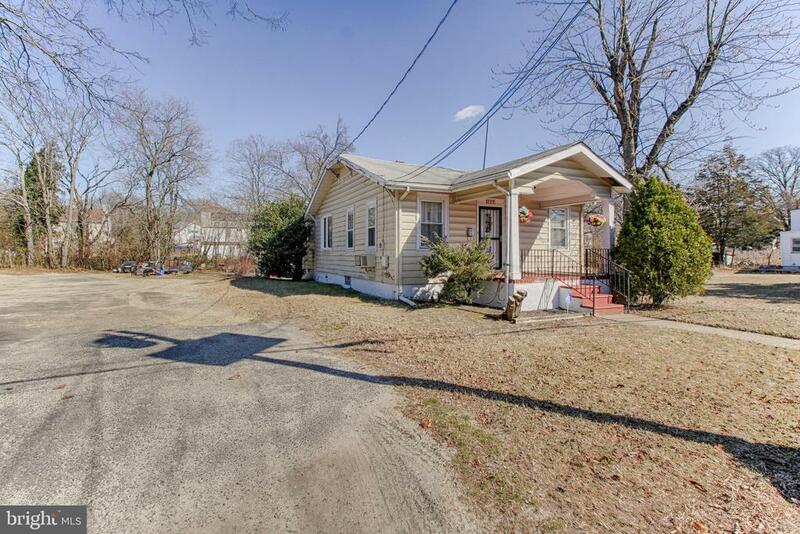 Come see this large, expanded split level home. 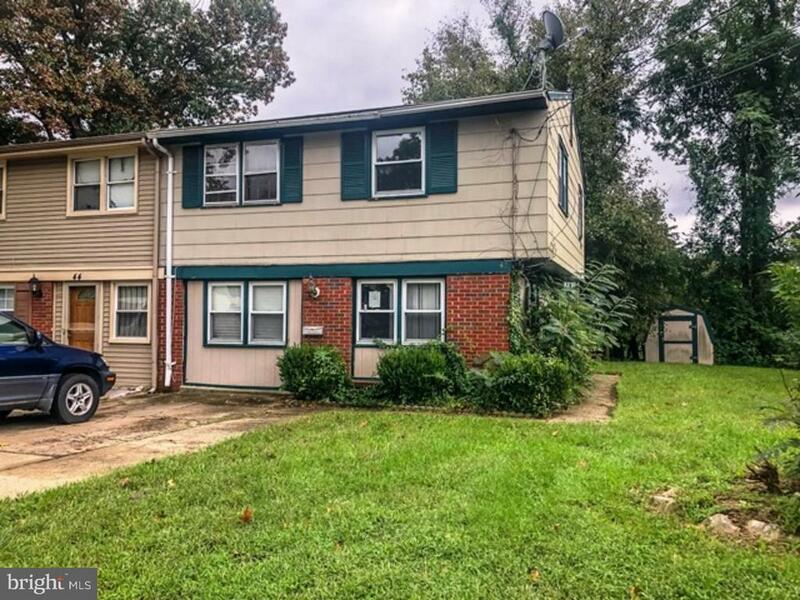 Recently remodeled, this large, bright home features gleaming hardwood floors, large windows and lots of space.You are welcomed directly into the living room featuring large windows over looking the front yard. The dining room easily accommodates family & friends for meals and get togethers. The kitchen was recently redone and boasts granite counter tops, custom cabinets and stainless steel appliances.Downstairs in a large family room with walk out to screened porch over looking the private back yard. Downstairs is also an office or 4th bedroom with direct access to the outside.Upstairs are 3 ample bedrooms; all with hardwood floors, & wall closets. The master bedroom is oversized with a master bath with double sink, large soaking tub and large stand up shower. 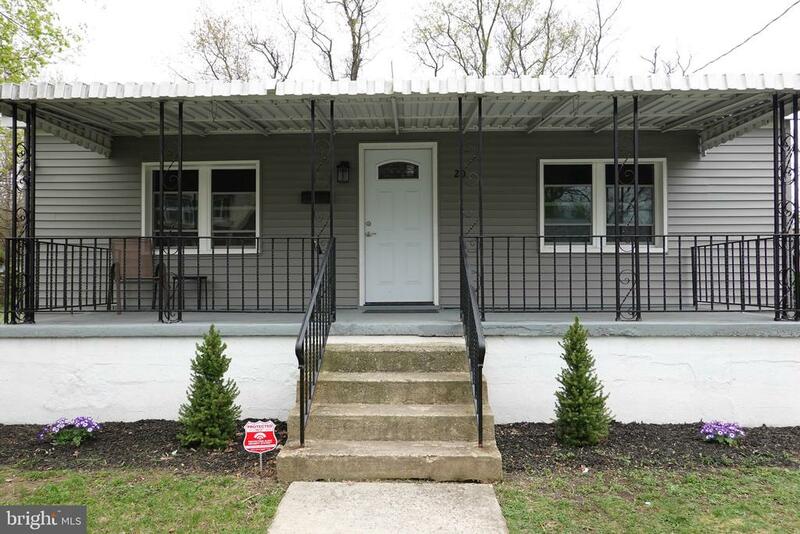 Lawnside is a desirable community for it's family friendly atmosphere and easy access to major highways, the speed-line and convenient to Center City PhiladelphiaCome visit this house and make it your Home." "The subject property is being sold in its as is condition--no certifications and no repairs." "Handsomely designed. Beautifully maintained. Livingroom, modern eat-in kitchen, 4 bedrooms, 2 baths, large familyroom and giant yard. Offstreet parking. Call today! Being sold as is." 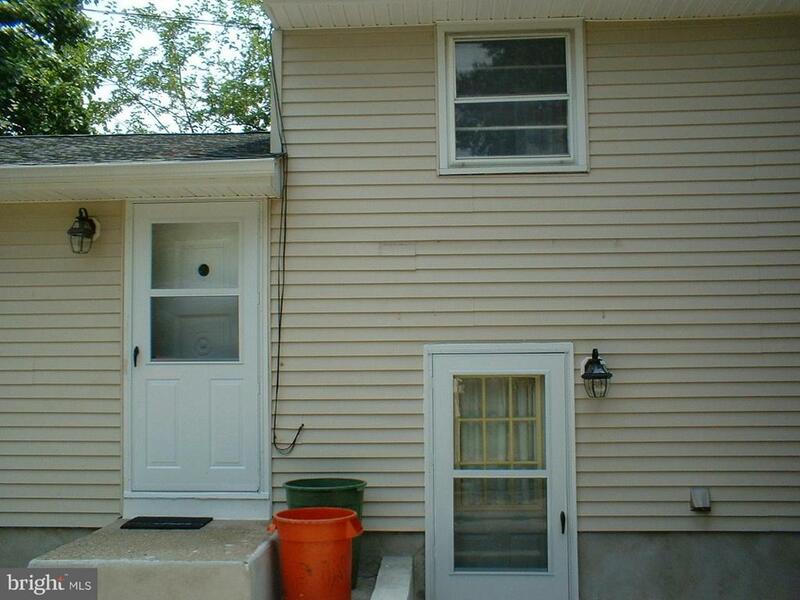 "Totally renovated and move in ready. 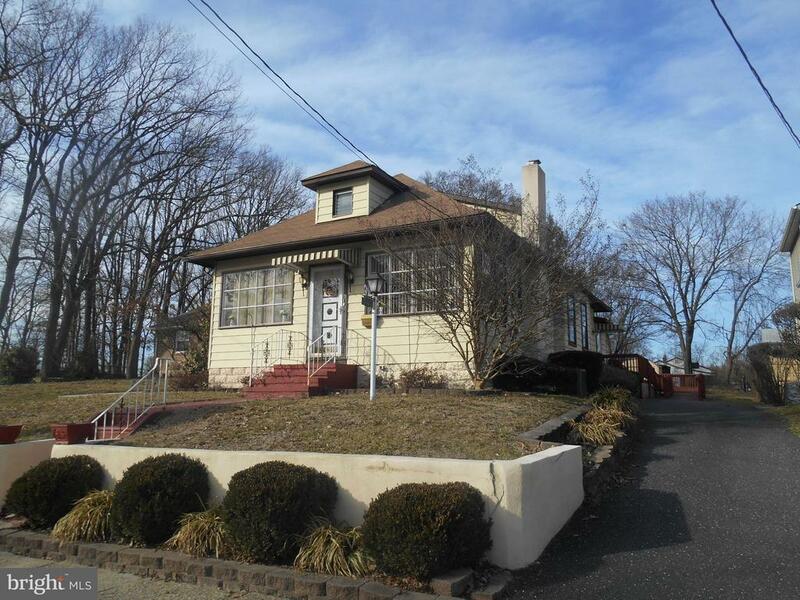 New kitchen, new baths, new roof, new siding, new heater and ac unit." "Turn the key, unpack your bags and enjoy the open concept floor plan your new home has to offer. All the work has been completed for you. Kitchen featuring new cabinetry, granite countertops and new stainless steel appliances with island. Entire home has been freshly painted with recessed lighting throughout. This home comes ready with all new electrical, plumbing, half bath, hot water heater, carpeting in bedrooms, and laminate flooring. Cozy redesigned stone fireplace in living room adds to the ambience on those chilly evenings. Just in time for those summer barbeques spacious deck for outdoor entertaining with half acre lot for outdoor living. Need additional space? Full finished basement doubles your indoor living space. All this plus new vinyl siding and detached garage." "Lovely home ready for your personal touch. Nice sized fenced yard and lots of storage space inside. Walking in the home you will find a large dining room and fun family room space. On the main level is a large eat-in kitchen and living room, with a beautiful front window. This space is full of warm sunlight. Upstairs are three bedrooms. This home is full of potential and is a good candidate for a rehab loan. 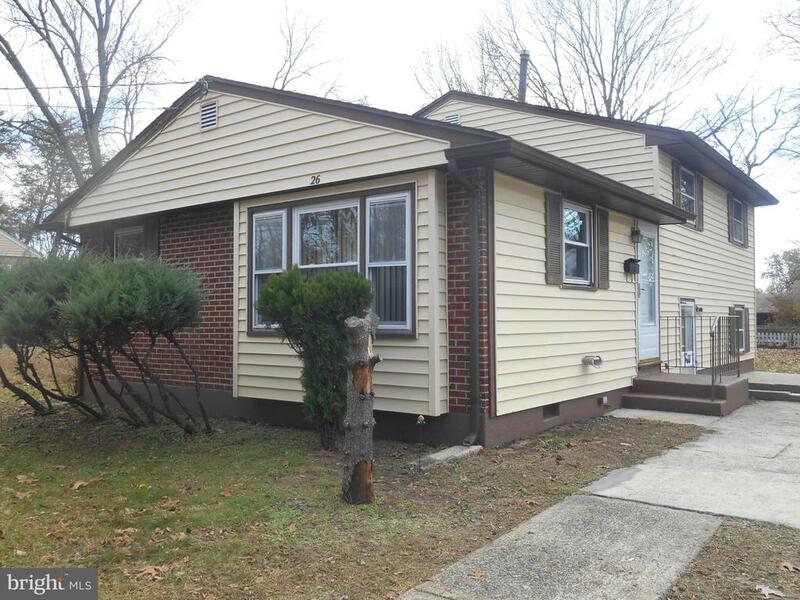 Please know the home is being sold as-is with buyer responsible for all lender and township CO required repairs. Easy to show"
"Large 4 Bedroom House with 1 and 1/2 Baths. This Bi-Level home has Living room and Eat-in Kitchen on main floor. Upper level features Master Bedroom with Bathroom and 2 Bedrooms. Lower level has Laundry room, Large Family room, Bedroom and 1/2 Bathroom, with separate entrance outside. This opens up to an extra large backyard with an Over- Sized Lot." 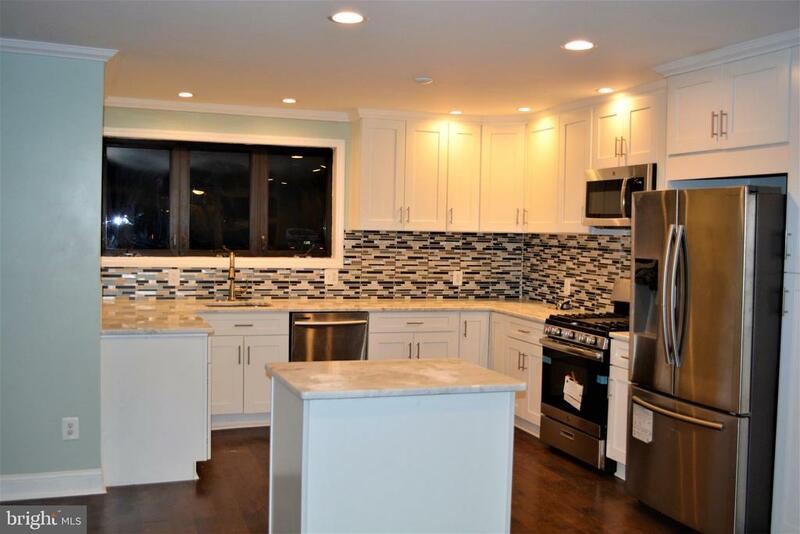 "Move right into this beautiful home that has been completely redone! New hot water heater, new furnace, new a/c unit, new 30 year roof, new Pella windows, everything in this house is new! Nice porch, nice open floor plan with recessed lighting and brand new kitchen with all new appliances. 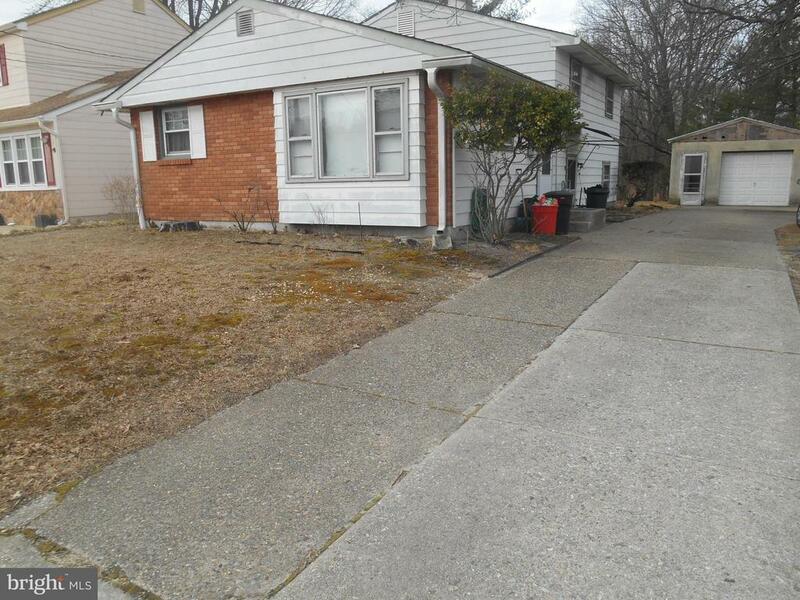 3 bedrooms, updated bathroom, deck, a full basement, and a large fenced in yard complete this home. Deck to be power-washed and sealed. This will look as brand new as the rest of the house. Buyer must use seller's title company and seller will pay for it. Act quickly as this will not last!" "Bank approved at list price. Cape Cod located in Warwick Hills. You can't ask for a better location if access to major highways, shops, restaurants, schools, and entertainment is what you're looking for. Routes 295, 42, 30 and the NJ Turnpike are minutes away making your commute a breeze. This property is much bigger than it appears as it features 4 bedrooms, kitchen, great room, and a large unfinished basement just waiting for you to finish for additional living space. Make one of the two main floor bedrooms your master bedroom if you prefer. The upper level features two very spacious bedrooms with plenty of closet space. The arched doorway to your eat in kitchen awaits you with tile flooring, tile backsplash, and plenty of natural light from the windows. There is access to the exterior direct from the kitchen for outdoor entertaining. The enclosed backyard offers privacy and plenty of space. Cash offers only. Mold was not present when bank appraisal completed. If interested in submitting lower offer must submit quote for mold and other repairs along with offer submission. Buyer's agent must provide comps to dispute current list price based on repairs. MLS #7206641; Bright MLS 1001937316." "Attention First Time Homebuyers and Investors. 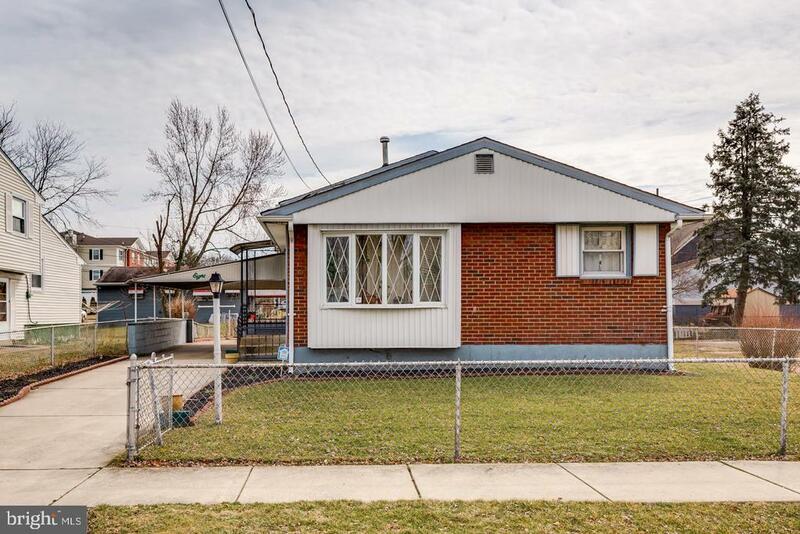 Check out this charming and nicely kept 3 bedroom, Full Size Bathroom, Eat in Kitchen, Living, Dining and Family Room with a Wood Burning Fireplace, and Central AC throughout the house. The laudry room in just off the kitchen and this is where you find your mechanicals and electric box. In addition to these features, there are three entrances into home with one entrance equipped with a ramp that leads into the Family Room. The driveway and backyard is very spacious and can park up to 6-7 cars or you can use the backyard as a place to entertain family and friends. There is also a shed in the backyard for extra storage space. THIS CHARMING HOME IS BEING SOLD IN AS CONDITION. The buyer is responsible for any improvements, repairs, permits and Certificate of Occupancy. This home is priced to sell and will not last long on the market. In terms of location, there is easy and convenient access to Rt. 30, Rt.295, NJ Turnpike and only minutes away from Philadelphia. Call today and make your appointments." "Adorable cottage offers all the comforts of home! This 3 bedroom home is clean and cozy. Lovely covered front porch leads to carpeted living room and dining room. Eat-in kitchen is large, comfortable and has great flow for cooking and dining. Full unfinished basement offers plenty of storage and work space. This is a double lot! Backyard has a shed for extra storage. This home has been lovingly maintained and shows well." 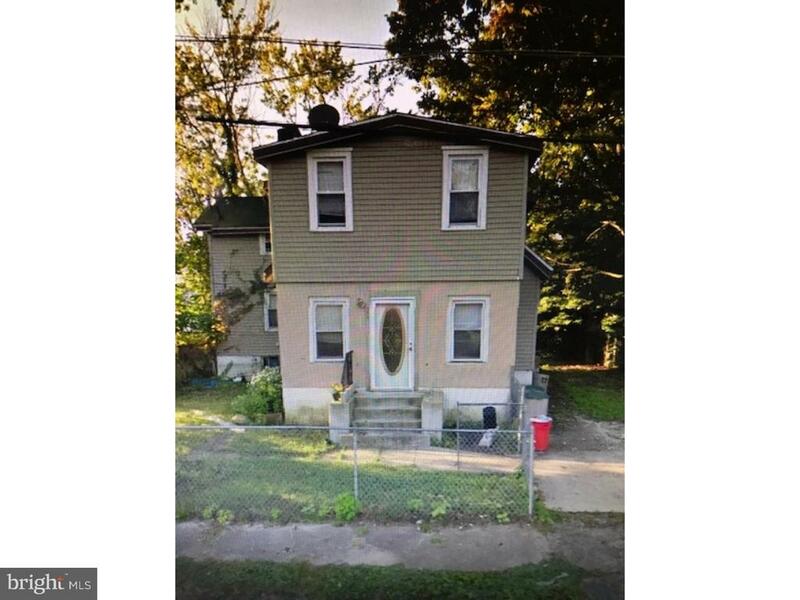 "Sold as is, new roof installed in 2017, huge garage in the back of the house"
"Great opportunity for an investor or savvy buyer looking for a fixer. 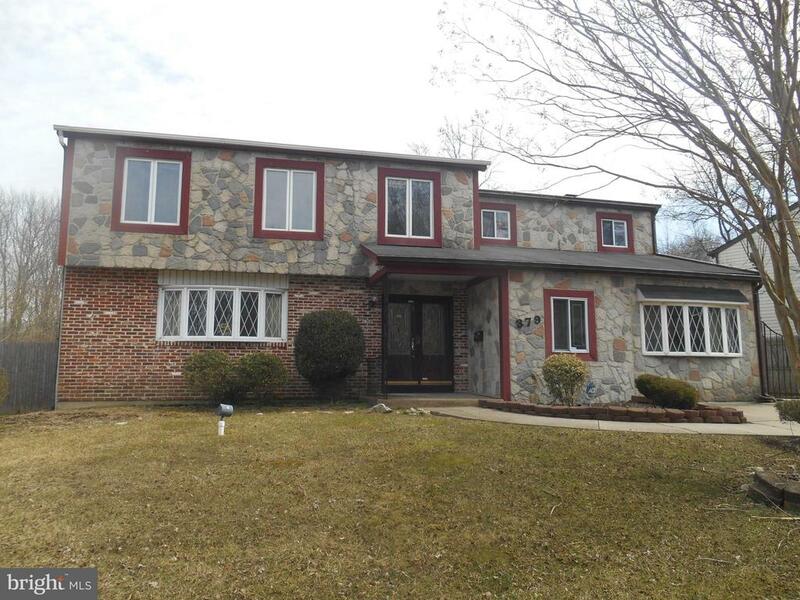 Twin style property situated in wonderful Lawnside, NJ. Property features split level floor plan, 3 beds, 2 1/2 bath, great room, and 2 brick fireplaces. ***Property is being offered strictly AS IS with seller making no representations or warranties, expressed or implied. No seller disclosure provided. Buyer responsible for obtaining C/O. ***"